Jennifer Reed is the owner of Jennifer Lynn’s Boutique. She has been in the hair industry for more than 15 years. 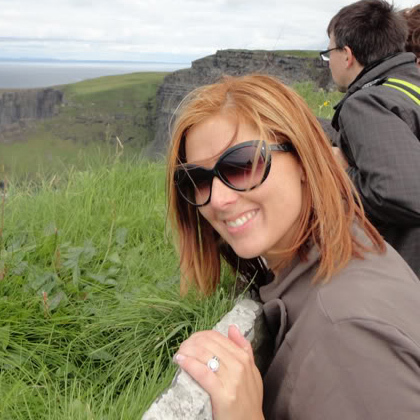 In 2006, Jennifer decided that she wanted more for her clients than the everyday revolving door salon could provide. She wanted her clients to feel important and to feel as if their stylist, truly cared about how they felt. It was then that she decided that the best way to do this was to venture into her own salon. Jennifer Lynn’s Boutique was inspired with the belief that life is short, family is always first, love always, live full and treat others as you would like to be treated. These beliefs are simple and are what commits me to giving my guests the best in service, chair side manner, and product knowledge. It is my personal commitment to make every person feel valued, appreciated and educated. I love educating my guests and building the strong, long-lasting partnerships that ensure the best hair possible. Jennifer Lynn’s Boutique is a L’Oreal Exclusive salon. As a former L’Oreal Professionnel certified educator, I know how important it is to stay on top of the latest technologies, education and trends. Partnering with a leader in the industry like L’Oreal solidifies my commitment to provide you with the most advanced techniques, products and service available. At Jennifer Lynn’s Boutique, every process is tailored to you. Our goal is to ensure you leave completely satisfied with your look and ready to take on the world. ** Additional $10 charge for color over 2 oz. 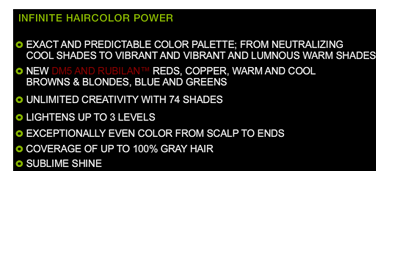 This color is innovative and exciting it’s designed for the man who is looking to discreetly blend gray hair. This service is a quick five minutes performed at the shampoo basin. 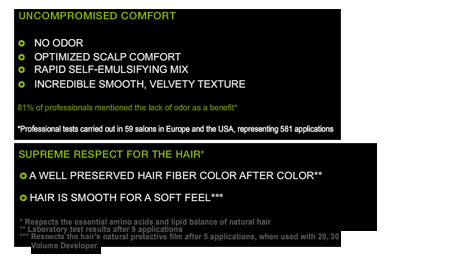 The results are natural and masculine, fade on tone and leave no visible line of re-growth. * Powerdose and Powerdefine $10 with hair color or cut. Mythic Oil Treatment Bar – The new Mythic Oil Treatment Bar features indulgent salon rituals that use powerful oil concentrates to clarify, deeply nourish, and protect the color, returning the hair to a balanced state. Serie Expert Powerdose Treatments – Our Serie Expert Powerdose in-salon treatments feature core-to-surface technology to target all areas of the hair strand providing instant, deep conditioning and shine. Choose from: Color-Lock Service, Luminous Highlights Service, Fiber-Repair Service, Progressive Strength Blow-Dry Service, Ultimate Reconstructing Service, and Ultimate Smoothing Service. Serie Expert Ceutic Treatments – Serie Expert Ceutic in-salon treatments are professionally formulated for a customized, individually prescriptive experience. Featuring clinical strength technologies to target all areas of the hair strand, the Ceutic treatments provide long-lasting benefits. Choose from Color-Protect, Volumizing, and Strengthening Services. Jennifer Lynn’s Boutique is a L’Oreal Professionnel Exclusive Salon. We use and sell nothing but the highest quality professional products for your hair. No matter what shape your hair is in, we have what you need to bring out the best. 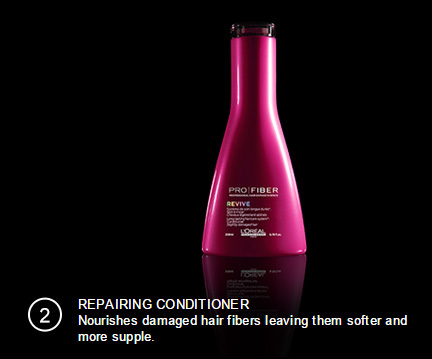 PRO FIBER - Introducing PRO FIBER, a revolutionary and long-lasting haircare system for all levels of damage. 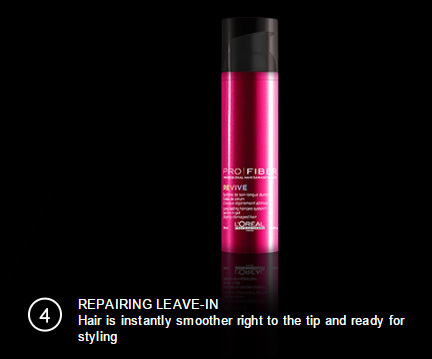 Initiate damagerepair with the in-salon treatment. 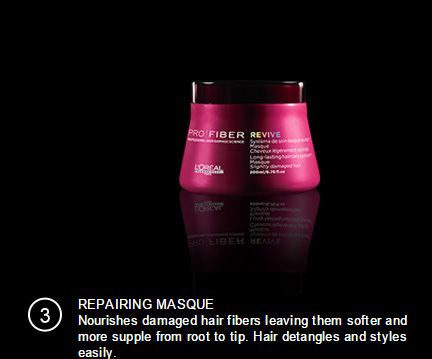 Reactivate the in-salon treatment at home with the appropriate Pro Fiber range for the level of damage. 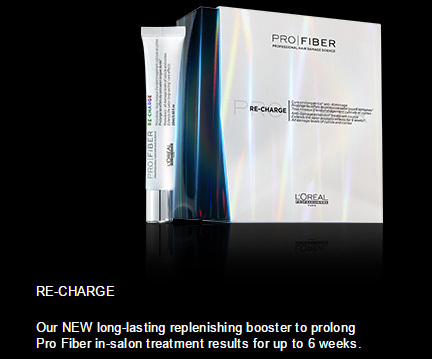 Prolong the treatment for up to 6 week with RE-CHARGE, a replenishing booster. 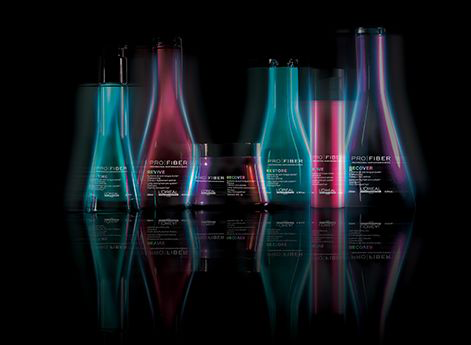 SERIE EXPERT - Molecular Precision Haircare is a dedicated range of products developed to treat the hair from core to the surface. TECHNI.ART - Tecni.Art is a complete range of products to meet all your styling needs: Texture, Volume, Curl, Shine and Hold. HOMME - Modern men of all personalities want products specifically designed for them that offer simple, efficient and lasting results. In light of this, L’Oreal Professionnel Homme presents a new grooming range perfectly tailored to the needs of modern men. 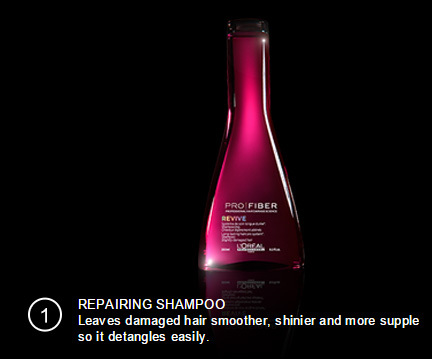 Dull-looking hair, dryness, split ends, fading color, your hairdresser knows that all hair problems stem from one and only source: gradual and inevitable fiber damage. To stop and reverse the deterioration process, L'Oréal Recherche Avancée has set a milestone in professional haircare treatments by developing the first long-lasting treatment to combat hair damage, for up to six weeks. Until now, most of the beneficial haircare effects were eliminated in the first shampoo. L'Oréal Research laboratories have developed APTYL 100, our first-ever technology capable of long-lasting repair of the hair fiber, the result of 15 years of research, with 15 pending patents. Thanks to APTYL 100, the complex can be reactivated for up to 4 washes and recharged at home for up to 6 weeks. The performance of the APTYL 100 allows for an unprecedented performance in 3 steps: instant in-salon regeneration, at-home reactivation for up to 4 shampoos, and extended results up to 6 weeks with the RE-CHARGE. In L'Oreal Professionnel salons, your hair dresser will assess your individual level of hair damage, based on the unique Hair Damage Profiler diagnosis result. Whatever the level of damage, the 15-minute in-salon exclusive treatment for damaged hair will follow a customized protocol. The protocol includes a layering technique and the application of REGENERATE Long-lasting Care Activator, our extraordinary APTYL 100 molecular complex. Results: Hair is instantly regenerated and repaired. At the heart of each at-home PRO FIBER routine is RE-CHARGE. This cutting edge technology works with a revolutionary damage repairing molecule, Aptyl 100, that fortifies the hair fiber from within and instantly resurfaces for soft and smooth hair. After every 4th shampoo, use Re-Charge in place of your usual Pro Fiber conditioner or masque to prolong the in-salon treatment results for up to 6 weeks. Hair is healthy, strengthened and repaired. © Jennifer Lynn's Boutique. 2010 - 2015.